Some people are in the wrong job. If you get into conversation with an airline pilot, you might ask such searching questions as: “What’s it like to be entrusted with hundreds of lives but remain anonymous?”, “Who was your worst passenger?” and “Do windscreen wipers work at 600mph?”. One question you won’t ask, and I’m fairly certain of this, is “Do you design customer experience strategies?”. But I think you should and here’s why. Pilots are very good at doing what they are supposed to – flying an aircraft. Most of the time, on the ground or in-flight, things go as planned. And we’re reassured in knowing that they’ve also given a lot of thought to what happens if things don’t go smoothly. Every day we see examples of very good services and customer experiences, but more often than not these are designed and built for the standard, perfect customer where nothing goes wrong. We see many things that are not designed to accommodate anyone whose circumstances do not conform to that ideal. In the development stages, I believe it falls under ‘project creep’, ‘out of scope’ or another type of excuse. So unwittingly, a lot of effort is designing into the process a good chance that it will make customers frustrated, anxious or confused. I’m guessing that’s not what most brand promises intend. Take ATMs (Automated Teller Machines) as an example. They’re easy to use, located everywhere and are increasingly multi-functional. You can tell that someone has thought about what it’s like to stand there and use one. They are regularly part of our lives and generally they function well. So, plenty of customer service boxes ticked. Great. But then, a real-life customer turns up and things start to unravel as illustrated to me very recently. I was sat in a café out of the pouring rain and watching the busy world go by when across the street a car pulled up. The driver was getting hassle from impatient drivers behind but edged the car neatly back into a parking space. A thirty-something woman jumped out and got soaked while she put on her coat and searched for loose change. She then ran to pay for the parking, set up a collapsible buggy with one hand while holding her baby’s bottle with the other. The baby woke and cried as mum carefully made sure her treasure was warm and dry. Phew. All done. First stop – the cash machine. Ah. Turns out, it wasn’t working. Helpfully though, the nice people at the bank had prepared for that and there was a message on-screen in the right font and colours reading “Sorry. Out of order”. Not very helpfully, that was it. Mum’s morning was over before it began. Inside the branch, there were long queues – not good for a tired mum with a tired baby. This was a small town and the nearest cash machine was miles away. Despondent and frustrated, mum went back to the car with no cash, soaked up even more rain as she fastened a howling baby back into its seat. Oh, and there was now a wasted parking ticket. Now correct me if I’m wrong, but if the engines on an aircraft stop working, the airline doesn’t shrug its shoulders and just put a “sorry” message onto the in-flight screens. It thankfully doesn’t happen very often but there are obvious consequences if the problem isn’t addressed. The consequences of an ATM outage for the bank may not be life-threatening but it too has consequences as the mum’s day demonstrates. And think about how it made her feel, how it affected her day and what she now says to her friends about the bank’s brand promise to go that extra mile for every customer. 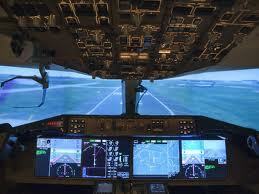 Learning from the pilot’s training, we could improve things. For example, firstly, mapping the customer journey wouldn’t end when the ‘out of order’ message is shown. We’d seek creative answers to questions like “What’s the real impact of that message on our customer?”, “What role does the ATM play in their day?”, “What other information can we give, what else can we do to help from within the branch?” and so on. Like the pilot on the flight deck, we’d make sure we had reliable and timely feedback to act on. At least we wouldn’t make our customer feel ignored when it’s us who have created the problem. They will expect an undifferentiated, standardised process to work – that’s not going to create “wow” moments. But it’s when those processes reveal their flaws or come up against the irregular nature of people’s lives that there is an opportunity to surprise and delight, to exceed expectations and to not lose customers unnecessarily. It’s not about relying on a “How to complain” leaflet. When things go wrong, customers will appreciate it most if the consequences have been well thought through and there is a helpful solution. Just ask the pilot’s customers.